Good day to you all. Hope you are all doing well. Today’s Thoughts of the Day is about overcoming one’s fears of failure. No one likes the thought of failure, even a positive (or at least trying to be :p ) thinker like myself. However, only those willing to look at their (fears of) failures as a means to success will in the end succeed. Do you have any idea how long it took me to overcome my fears of publishing my first book and starting my first blog? It took me a little over two years each to get over my fears. I could have already been a published author of many other published works and I would have had my blog for many years by now if I were not such a chicken back then. A lot more opportunities could have been available to me if I just took those first steps instead of being hindered by my fears of failure. My fear of failure and being received negatively by others hindered me. However, I believe that everything happens for a reason. The most important thing is not how long it takes you to overcome your fears but if you overcome them or not. Even now some of these fears still linger in the back of my mind. But I am not allowing it get in my way again. Even if one day I encounter failures I will dust myself off and start over again as I try to learn from my mistakes the next time. Even if one day comes where people are negative towards me, I will still continue. Because I have been holding back due to fear for far too long. I cannot say at this time that I am a success but I have not failed either. I am still working towards my success. Oprah, J. K Rowling, Walt Disney, Albert Einstein and Steven Spielberg all encountered failures as well but still continued and succeed. 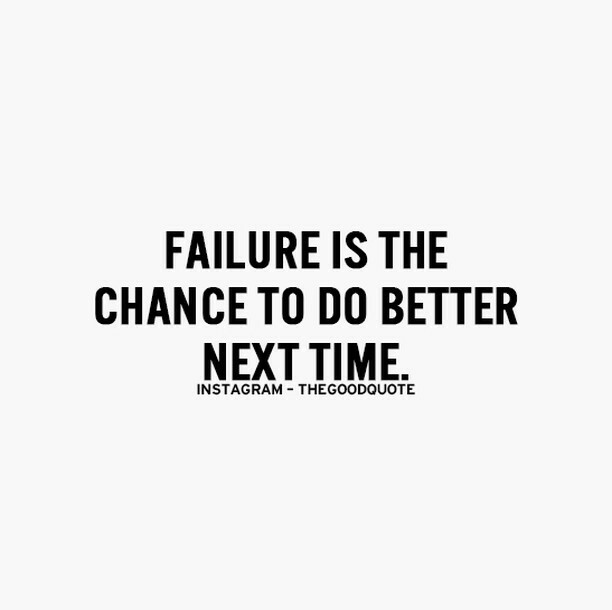 That should be able to tell you that failure can be the key to success.